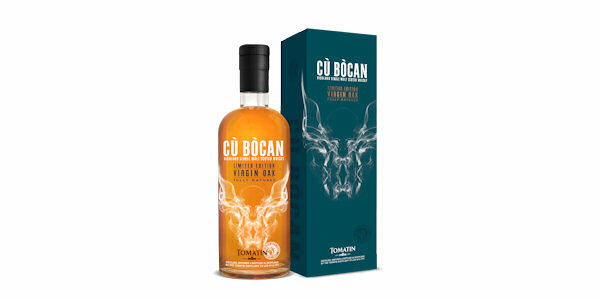 Cù Bòcan is matured in a combination of Sherry, Virgin Oak and Bourbon casks. This exclusive limited edition showcases the influence that Virgin Oak has on our lightly peated single malt. Clean and zingy with hints of smoke and warm spice, this fully matured Virgin Oak limited edition will not disappoint! with cinnamon and toffee and just a touch of smoke. FINISH - Clean and zingy with pleasant spice.